Of the nearly 17 million acres of forested land in Wisconsin, individuals and families own 56% of those forests. It is by far the largest forest ownership category- even more than federal, state, county & municipal forest acres combined . That means private woodland owners are making a large contribution to the state’s clean air & water, wildlife habitat, timber & wood products, and recreational opportunities. 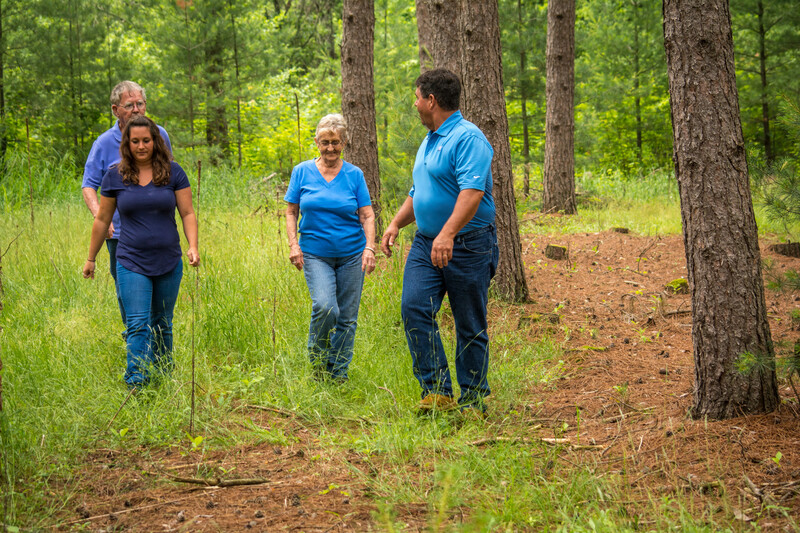 Every step you take to manage your land in a responsible and sustainable way makes a positive impact on everyone else in the state. The easiest place to start your management is with a walk through your property. What do you have? During your walk make note of different features or areas. Do you have any trails or buildings? Are your trees young or old? Did you see any wildlife? Are there notable features like a stream or bluff? This is just to help you gain some general knowledge of your land. On this walk, you should also think about what your goals are. Are you looking to increase wildlife habitat? Do you want to use your woodland for recreation? Perhaps you own your land for the aesthetics or for generating income? These goals will help determine which management prescription (activities you conduct on your land) should be in your management plan. Once you have a general idea about your woodlands and your goals, its time to get in touch with a professional forester. They will be the ones to help guide you through the journey of managing your woods. Take a walk through your woods with your forester. 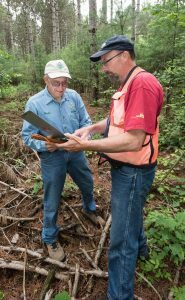 They can make make management recommendations based on the current state of your forest and your goals for the land. These recommendations will be used to create a management plan for your land. Your management plan can be used to reach your goals for the forest even when you are no longer the person actively managing the land. You are a short-term caretaker of a long-term renewable resource. Besides your forester, there are many public and private consultants, nonprofits, government agencies, and businesses out there to help with the management of your property. You land is made up of much more than just your trees. There are professionals out there to assist with your questions about your property’s soils, water, wildlife, infrastructure, and any other aspect.